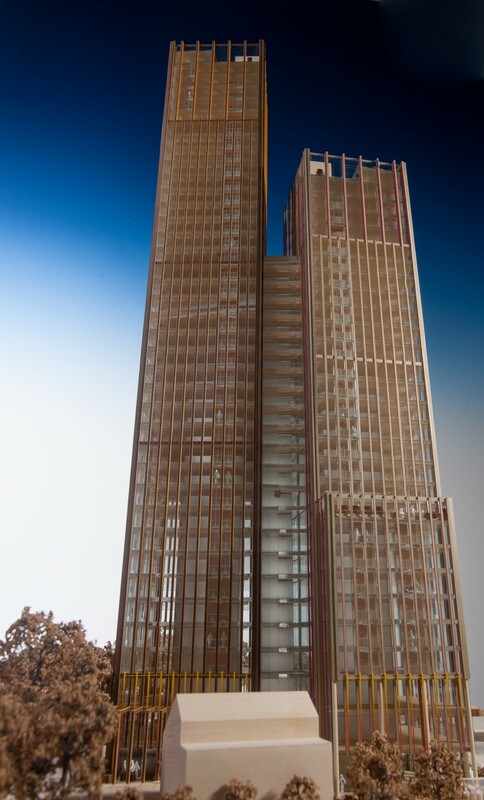 Presentation model with timber base and context. 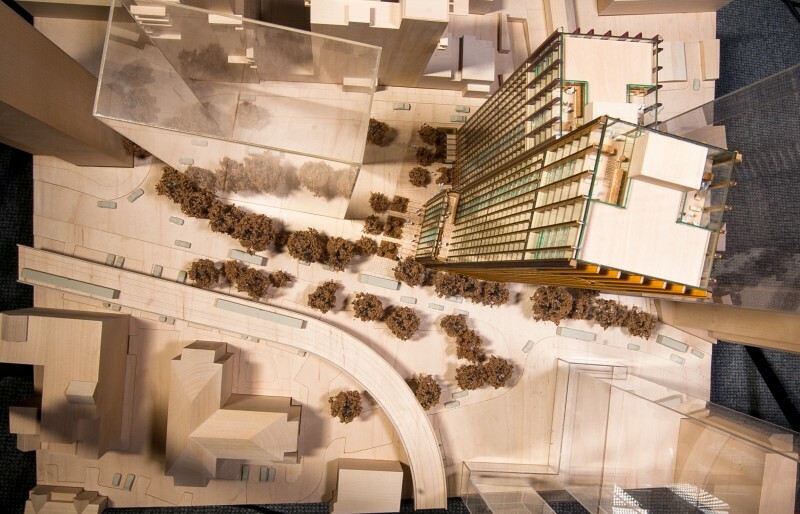 Adjacent proposed buildings modelled as clear acrylic boxes. 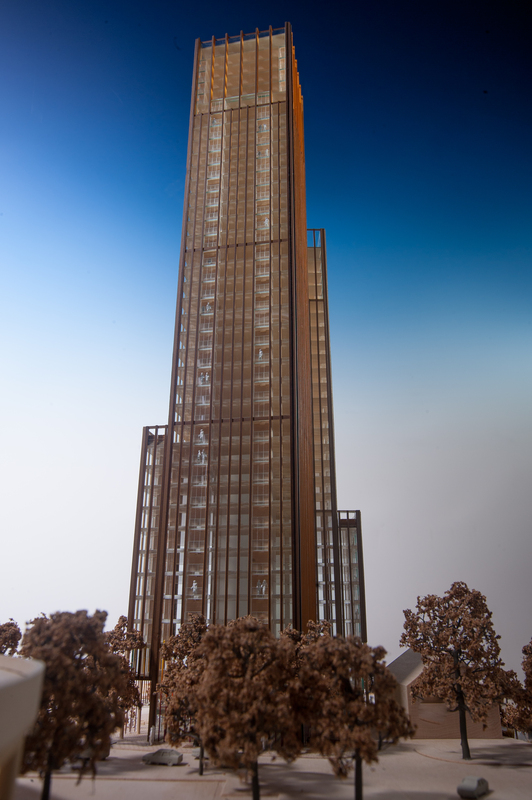 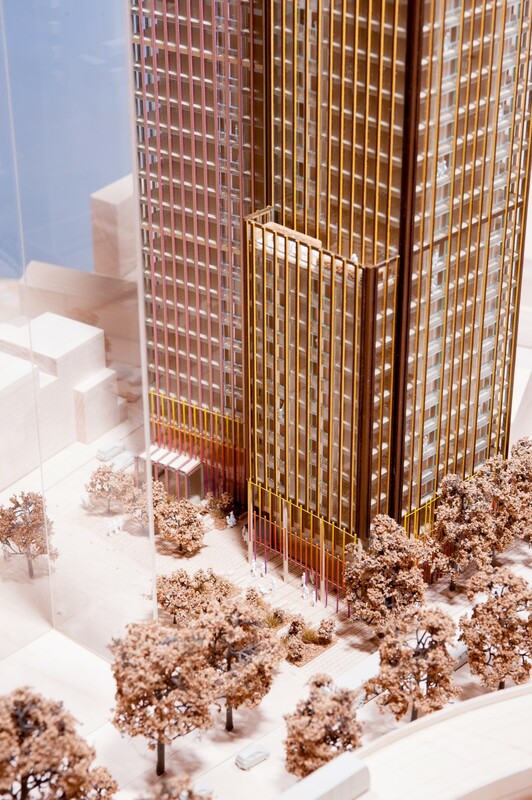 Scheme proposal towers modelled with full detail in realistic finishes including clear glazing, bronze and variegated bright highlight colours to fins, etc.